The First Chinese-Learning Multimedia Software in the World: 8 CD + 8 Books. It is an integrated software with words, sounds, pictures, animations and music. It will make you enthusiastic about learning Chinese. It is a wonderfully-designed, high quality software. More than 20 Chinese experts took part in the planning and the editing of this product. More than 100 multimedia experts and programmers worked together to develop this new product. This software is composed of a total number of 300,000 Chinese words and relevant English explanations. This product consists of 8 CD-ROMs, 8 CDs and 8 books. This software introduces a step-by-step learning method to you. It starts from the Chinese phonetic alphabet and ends at the HSK examination. It is designed to help you learn oral Chinese during the study of the Chinese phonetic alphabet. Each Chinese character is accompanied by Chinese phonetic alphabet. Each Chinese word or sentence is explained in English. After you finish it, you will be able to speak fluently and write smoothly. You will be able to reach the intermediate level, which is mentioned in the HSK examination. And also, during the study of the Chinese Idioms and Proverbs, you will be able to have a good understanding about the traditional culture and the long history of China. This software can be used as a teaching material by education institutions, as well as people who are learning Chinese, especially suitable for businessmen who are studying Chinese by their own. This software has versions in English, Japanese, Korean, French, Spanish, German and Indonesia, considering the needs of the people from different countries. Taking use of the latest multimedia technology and combing words, sounds, pictures, animations and music, this software Interactive Chinese enables learners to see, hear, speak and write in the process of studying. It provides an ideal and all-round environment for the learners to study Chinese in a pleasant and completely new style. Contents covered in this software include Chinese phonetic alphabet, vocabulary, grammar, Chinese culture, and HSK test. To facilitate starters, the interface of this software is bilingual, with classical Chinese music as the background music. The texts, progressing from simple to difficult, are practical and systematic, covering the daily life of Chinese people, folk customs, shopping, sightseeing, paying visit to friends, etc. You could hear the Chinese talk, or join in personally. 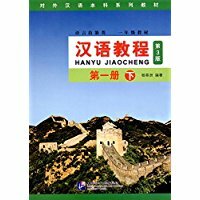 Using this software you will enjoy studying Chinese with its lively and free style. In the phonetic part, clear animated demonstration is given to the pronunciations of all the initials and finals. In the Chinese character part, character structures are explained in detail, with a demonstration of stroke writing and order. The reading part includes Chinese idioms, proverbs, allusions, and ancient poems, which are closely related to Chinese culture. Using them properly in actual communication will enhance one's language proficiency. The HSK part introduces HSK test in detail and learners can test their own levels at any time by themselves. More than 5000 words are included, each with a translation and pronunciation. Having finished this course, learners will be able to speak fluently and write smoothly, reaching the intermediate level of the HSK test. This software can be used by teaching institutions and students, and is especially suitable for businessmen working in China.